UpToDate®provides you with the answers you need, quickly and easily. In clinical practice, you have to make decisions for every patient you see. Sometimes the evidence is conflicting or not clear. At UpToDate, our editorial team reviews the evidence. We use our panel of experts, who have extensive clinical and research experience, to answer important questions. We base recommendations on well-designed studies, when they are available. But, when the evidence is limited, we do the same careful review of the available evidence and clinical expertise, and give you answers to your clinical questions. Unparalleled breadth and depth of content. Unlimited access to more than 33,000 searchable algorithms, graphics, images, tables, radiographs, and more. "What's New" — a summary of new findings (including Practice Changing UpDates) organized by specialty. Concise practical treatment recommendations, many of which are graded so you can quickly assess the strength of the recommendation and the quality of evidence supporting it. 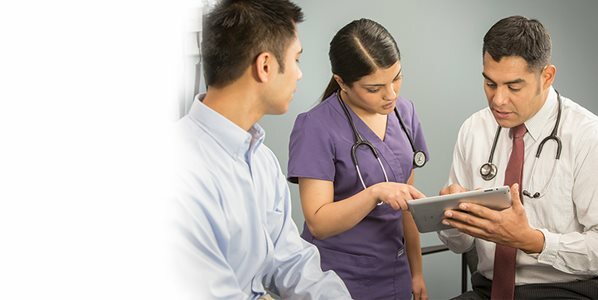 Unlimited online access to clinical answers via you computer, mobile device, or tablet with our highly rated Mobile Apps. Or, upgrade your subscription by adding UpToDate Mobile Complete, our local App that allows you to install our full content directly onto your device for an additional USD 49, with an annual subscription. So you can get the clinical answers you need — when and where you need them.